The blackjack is a casino card game that has been in existence for decades. This is, perhaps, one of the most popular card games there is in the UK. The Blackjack, also known as 21, will constantly keep you on toes as you wonder what your opponents, as well as the dealer, have beneath their cards. The moments towards unveiling them is what makes this game such a thriller. Land based or live blackjack comprised of a table of cards, dealers, and the players. The table also contained chips which were the bet amounts placed by the punters. 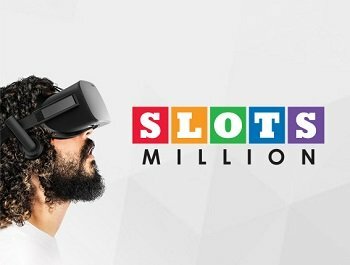 With the growth of online casinos, it was inevitable that the blackjack had to also adopt a virtual version in order to be accessible by thousands of the players that love the game.Just like the land version, the virtual blackjack has a dealer and a table around which the players are. The computer runs all the systems including dealing cards for the player. 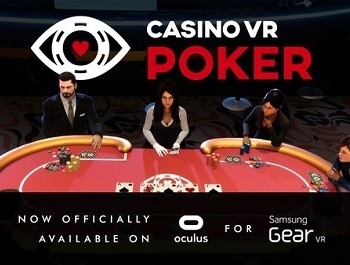 One can play the virtual blackjack by themselves from the comfort of their space. Unlike the brick and mortar blackjack, where the deck of cards is usually shuffled before the game begins, the virtual blackjack’s numbers are generated by the Random Number Generation system “RNG”. You can play the game directly online with no downloads required. Blackjack is also called 21 because the entire purpose of the game is to be the first one to have a combination of cards whose total is either 21 or a number closest to 21 amongst the other players and the dealer. The players play against the dealer in this quest to get a combination that is higher than that of the dealer and either a 21 or a number close to 21. When the game starts, the dealer gives all players two cards facing down. The dealer is also dealt two cards with one facing down and another one facing up. Once all have been dealt, the player will turn them up and add their total. You must have a number higher than that of the dealer, but lower than 21 in order to win. If the value of your cards is over 21, then you lose. This is known as a bust. If you get card value that is equal to that of the dealer, then the gameplay will go through what is called “push”. Here, it will be canceled, and the deposit made by the player will be refunded in full. The bet will be considered void. Deal. This is the button you press to show that the game has begun. Once you press deal, the dealer will start distributing cards. This is usually done after you have picked your bet amount. Hit. You use this button when you are asking to be dealt another card during the game. Stand. This is when you do not want to be dealt another card because you feel that the value of the cards you already have is sufficient to make you win. Once you stand, you cannot bet or pick another card until the game is over. This is done when you feel that the value you have is sufficient to make you win or when you fear to pick another card because it might increase the value of your cards to an amount over 21. Most people choose to “stand”when the value is at 17 or above, and “hit’ when their card value is at 16 or below. Split. When the value of the cards you have been dealt is the same, you are allowed to split the cards so that you have two hands. Two more will be added on top of the ones you have to complete two hands. You will be wagered for the second bet from your account automatically in order to pay for the new hand that you will now be playing. You can then continue playing the name as you would hitting and standing where need be. However, if you split Aces, you will be allowed to hit only once. Once you have done this, the game will continue without you hitting again until it’s done. Double. This is when you double the amount you deposited as your wager. This can only be done once, and that immediately after you have been dealt a card. Once this has been done, you are not allowed to double your deposit again. Insurance. This is offered to a player when the dealer shows one of their cards. If the card is an ace, you as a player can deter the dealer from winning the jackpot if his second card will bring the total to 21. Once you have insurance and the total of the dealer is 21, then the game will be a “push”, your insurance bet will be doubled and you will lose your first cards which are known as änte’. If the total of the dealer is not a 21, then you will lose your bet for the insurance and the game will continue. Other prompts include the rules button, the cashier button which will lead you to the section where withdrawals, deposits, and coupon claims are done, as well as the menu button which will take you to the section through where you can control the graphics and sound of the game. Online virtual casino blackjack isn’t much different from its brick and mortar counterpart. Except for the part where the interface gets to be the dealer and you play by yourself, the rest of the gameplay is pretty smooth. This is the one slot where the house gets the lowest edge. The rules for it are also quite straightforward which is a plus for even first timers.